RMP provided a full range of acoustic consultancy services throughout the project. 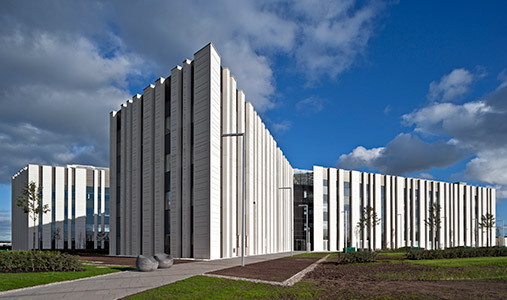 The main building is a four storey structure arranged around a central atrium and whilst primarily an office development, the building also provides forensic laboratories and support facilities. The Crime Campus brings together a number of related agencies and provides accommodation for over 1100 people.